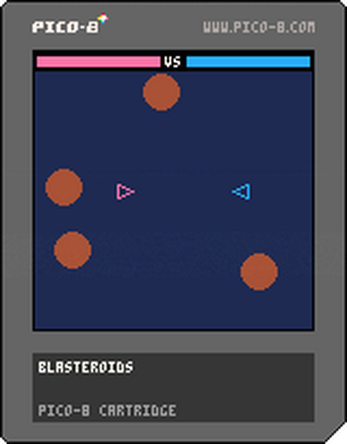 Small versus game made for a DIY zine to teach multiplayer game concepts. Also it's fun! 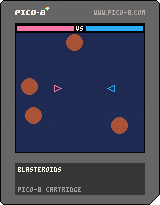 Hi there I have been recently coding the Blasteroids game (for a school project) that you created for the Pico-8 fanzine #3 and I'm having some trouble getting the asteroids to display. I have matched your cartridge code and the zine instructions. The cartridge code is different to the zine code and my code is exactly the same as the zine, and doesnt seem to be showing asteroids. Are there any mistakes or glitches with the zine code that you know of? or is there something I'm missing?